Annie (high profile LA dog walker) has listed some pretty unique places in LA that are open arms to dogs that I had not thought of before. She has them listed on this page and include: Fred�s 62 eatery, the Tail O� the Pup restaurant, the Laconda del Lago Italian restaurant at the 3rd street promenade (great for people/pup watching), and others. Have a dog or a cat and been looking around for that perfect pet friendly apartment? Look no further if you seek rental accomodations in Southern California Beach Cities, Inland Empire, Orange County, the San Diego area, San Fernando/San Gabriel Valley, Ventura County, & West LA. Take a quick look at the posted want ads too for room rentals. This website is my top pick for those pet owners in San Diego who like to get out to explore, & take on new adventures with their canine companions. Pet friendly restaurants, off-leash parks in SD., shopping centers & boutiques for dogs. This list of pet friendly places in San Diego is impressive. DogFriendly.com is probably the best source for pet friendly accomodations, hotels, notels, apartments, restaurants, dog camps and alot more. They publish a Dog Travel Guide book I highly recommend if for your next long distance road trip with the dogs. Pet owners will love it. They have city and state guides for dogs represented. All of it. "All hotels on this site are pet friendly hotels. These are hotels, motels and resorts that allow, that accept and that take pets. We call each of these pet friendly hotels, pet friendly motels and pet friendly resorts on this website on a regular basis to verify that it is still a pet friendly hotel." "Take Your Pet Where You Go." This a national database of pet friendly places and services to help you and your pets out when you need just the right resource at just the right time on your travels. Wow, they even have a toll free number for help! Use their home page drop down menu to quickly wade through 18,000 great places to stay." "Bring My Pet is the pet friendly lodging site that helps pet owners locate dog friendly and cat friendly lodging anywhere." Wow, lots of hotels I am familiar with that I never thought allowed cats & dogs on this site. Go figure. They�ve got a bunch of them listed on the site that are sorted by US state. Well executed website. "As a leading resource of free information to the hundreds of thousands of traveling pet owners in the US and abroad looking for quality, pet friendly accommodations, BringYourPet.com caters to pet owners who enjoy bringing their pets with them." Looks like they have a pretty good list of hotels that allow dogs in each state of the Union. "Directory that also offers unique advertising opportunities for pet friendly properties located around the world. To view the available properties, please select the state you are interested in visiting." What�s great about this site is all the extra photos & details they provide about each dog friendly place they advertise and their website. Ah yes, we definetly can always use more help when it comes to locating apartment complexes that allow pets. This resource is in partnership with the Fido Friendly Magazine, which is a real resourceful mag to read for dog owners. Check out this website�s California dog friendly apartment list. I was happily surprised, and you may be too. "HomewithPETS.com helps you find Pet Friendly housing. Whether you are moving to Florida or California, renting or buying, browse the listings of pet homes, pet friendly apartments & pet friendly condos to locate a great place to live where your pets are welcome." More listings where you can live with your dogs than you can shake a stick at. OK, more good stuff here. However, this website is particularly helpful if you live in Orange County, Los Angeles County, San Diego or the San Francisco Bay area. Metro Apartments has more listings with further detail about the properties than the other pet friendly apartment US metro areas listed. "Our goal at PeopleWithPets.com is to ease the burden of finding rental housing or hotel accommodations that will allow your dog, cat or other animals. We started in a few metro cities: Atlanta, Dallas, Austin, Orlando, Jacksonville & Raleigh-Durham. We�ve since expanded to include the entire United States with pet friendly places to call home." This is a hotel specific resource to locate accomodations that are welcoming towards cats and dogs, and of course their humans. "Petdesk.net was created to help you locate thousands of pet-friendly hotels all over the world and to enable you to book your hotel reservations online. You will never have to leave your pet at home or at a kennel again." Check on their link that has seasonal hotel specials and discounts. This website has been around a few years. "Compare Pet Friendly Hotels rates and see for yourself why we�re the guaranteed lowest! Pet Friendly Hotels has appreciated your business over the past several years and wish to continue providing outstanding services in the future. *"
Probably one of the best guide�s for researching & booking all things "dog friendly" in the USA. One of my favorite websites, they have incredible photos (& many of them) of great hotel accomodations for your dogs while you guys travel around on vacation. Really just a complete website for dog owners that also offers tons of travel tips with pups. "Pet Friendly Rentals is a well established, local San Diego Co. that has been helping pet owners since 2000. We are not some "out of town" company, just on the internet, with no ties to our local pet owning community. Pet Friendly Rentals ONLY lists rentals that will accept dogs & cats. Fees are $60 to receive our listings by email for 60 days. Wow, some mind numbing, beautiful places to take your pets to while on holiday in The Great White North. "Search through our list of hotels, motels, resorts, vacation rentals, cottages, cabins, bed & breakfasts, and other pet-friendly lodging from across Canada that your whole family can enjoy! (Pets are family, too!)" All regions of Australia are listed so that you can quickly find the type and location of pet accomodations that are ready to welcome your dogs with open paws. Website also gives details how you can list your dog friendly property and respect rates. They typically can save you at least 10% at all La Quinta Inns which welcome canines. "Enjoy California with your pet while staying at one of the hospitable dog & pet friendly hotels or other pet friendly lodging choices. From dog & pet friendly resorts & hotels to pet friendly camps, cabins and bed & breakfasts�California has �em!" "Since 1996, has been bridging the gap between the traveling pet owner looking for a pet friendly place to rest their heads and the properties that are able to provide these accomodations. With over 1.4 million viewers per month, it�s a top advisory for people traveling with pets to continental hotels to cozy inns, bed-&-breakfasts, country cabins. This looks to be more of a newer website that is currently working on archiving accomodations and destinations that dog lovers would enjoy visiting. You can take a look at their advertising space if you own a pets welcome destination or lodging in the US. 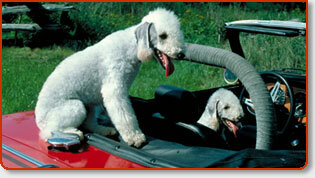 "Search online through the largest directory of pet friendly lodging anywhere! Over 20,000 bed & breakfasts, cabins, motels/hotels, inns, and resorts in the United States that all welcome you and your dogs/cats!" Check out their bulletin board forum to ask other dog lovers questions & personal recommendations. Membership provides 60,000 resources. "For International visitors & travelers we have over 20,000 pet friendly accommodations worldwide with immigration rules for over 90 countries, & pet regulations for all the world�s airlines." FREE subscription to receive tips for traveling with your pet. Tons & tons of great articles specifically written for those that frequently travel with dogs. "If you are interested in pet travel, but don�t want to spend hours on the phone finding a hotel that will let you bring your pet, then you�ll like our website! Our special pet travel search helps you find the perfect accommodations for you & your pet! With our pet travel search services you can choose from a large selection of pet-friendly hotels. "Petswelcome.com--the internet�s largest pet/travel resource? Click on our Lodging listings for over 25,000 hotels, B&Bs, ski resorts, campgrounds, & beaches that are pet-friendly. Check out our Travel Tips section to learn how to take your pet anywhere. Or visit our Info Xchange to find answers from millions of other savvy travelers like your." "Pets Playground - the Quick and EASY directory for Australian pet owners! Whether you are after a cosy B&B by the sea, a self contained mountain getaway or a fun-filled farm adventure, we�ve got a quality getaway for you. Just browse by state and region, or search by keyword. Also a great online pet directory representing local pet services. "Pet Friendly Hotels & Pet Friendly Accommodation in the UK is finally catching up with our American & European counterparts. The guide allows you to search for pet friendly hotels, pet friendly days out, pet friendly cottages, dog friendly walks, & animal friendly pubs by region. If you�re dog was booking the holiday, they�d chose our directory." Very straight forward website that allows searches to be done right from the home page. Include vital info like how many rooms, arrival and departure dates, as well as city of interest. You are off and running to find a great place to stay with your dogs or cats in tow. "I worked at an animal shelter & was devastated to see the huge number of pets that were given up. I�ve learned the #1 reason given when dropping off their pet was "landlord won�t allow". It made me sick to see sooo many pets simply being abandoned by their owners because they could�t find pet friendly apartments. petrent.net can help!" OK guys, here�s something you and your dogs can really sink your teeth into--pet friendly accommodations, short term lodging and apartment complexes that welcome pets throughout Orange County as well as other areas in California. This particular topic is of great interest to us and although we don�t have a lot of time to conduct a thorough �pet friendly� search with our bloodhound to find the best accommodations right now, our noses are definetly still to the ground and the �game is a-foot.� Hey, why don�t you all �throw us a bone� and give us your own opinions on great dog friendly places that you have taken your pups in the past so we can get them listed here. We simply need more openly accepting places to bring our hound dogs and feline friends. We�re looking to add new apartments, hotels, and bed & breakfasts in Orange County and surrounding areas. Your dogs will lick you all over for helping us canine lovers out here. Hmm, not a pretty sight. Anyhow, we are also looking to add other lesser known �pets welcome� accommodations and venues that our dogs are allowed to tag along to as well. Know of any fancy shmacy dog spas? Or how about a cool restaurant that seduces your dogs with their favorite �Scooby Snack� when they visit? Maybe an open air mall that has welcomed your dogs with open paws? Doesn�t matter how strange the place, all us dogs care about is if they are openly accepting of us, enjoy cleaning up slobber as much as we do making it, and of course offer �doggie bags.� So don�t be shy, add to the listings you find here by emailing me all those fun places you�ve taken your furry, four legged Fidos. You can also just add your pet friendly places right to the Add Url Page too. Obviously, we are looking to add *only* those establishments that openly welcome and invite our pets to their establishments. Be sure that if you find any pet friendly places or accommodations like hotels, bed & breakfasts and the like, that you give them a ring before you stop by to make sure if they have any particular restrictions. If you currently or in the past had a good experience with your dog or cat living in a pet friendly apartment complex here in California, don�t hesitate to tell your manager to list the apartment here totally free. Now, if your dog has been specifically begging you to take him to the beach, play ball at the dog park, or hike along a pet friendly trail with you, check our Dog Parks Trails & Beaches.